About The Aquarobic Mini-Plant - Aqua O2 Wastewater Treatment Systems, Inc. The Mini-Plant series (Sequencing Batch Reactor-SBR) treats wastewater flows from 500 to 5,000 gallons per day. The Mini-Plant tank is sized to hold a volume of three (3) times the daily wastewater flow, providing 100% or more overload capacity. Mini-Plant units have undergone stress-loading tests and performed consistently better than most "secondary" wastewater treatment plants. Advanced "tertiary" treatment is achieved through our Mini-Plant systems' add-on components. The unique aerobic up-flow and re-circulating filters enable a higher degree of treated effluent (<5 mg/L BOD & SS - Class 1A). Disinfection or nitrate/phosphorus removal components are also available. Outstanding test results were obtained after comprehensive six (6) months testing programs at a national testing service both for the Aquarobic International, Inc. Mini-Plant and the Mini-Plant and filter system. The results exceeded all the requirements of the highest rating and have been certified as such under national and international standards. Test results available upon request. 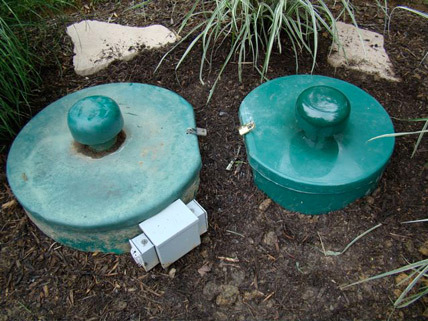 Mini-Plant units are sold completely factory assembled in fiberglass tanks and ready to install, or as a "kit" allowing the system to be installed onto pre-fabricated or locally constructed concrete tanks. Normal operating cycle's power consumption for a 600 GPD is 8.5 kilowatts per day. The Mini-Plant series (Sequencing Batch Reactor-SBR) treats wastewater flows from 500 to 5,000 gallons per day. The Maxi-Plant series (Sequencing Batch Reactor-SBR) treats wastewater flows from 5000 to 100,000 gal per day.